Best not to look at anything else before writing posts I find, then at least you know everything you've written is original to you. I've heard a lot about Monkey bread, but not made it myself. Think I prefer that appellation rather than Monkey Brain Bread, which just freaks me out! 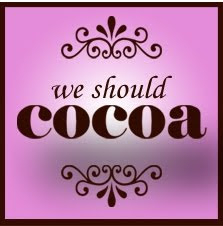 I like how you've managed to include both cocoa and chocolate and it sounds just the thing to be torn apart by friends and relished. Thanks for another great WSC entry. 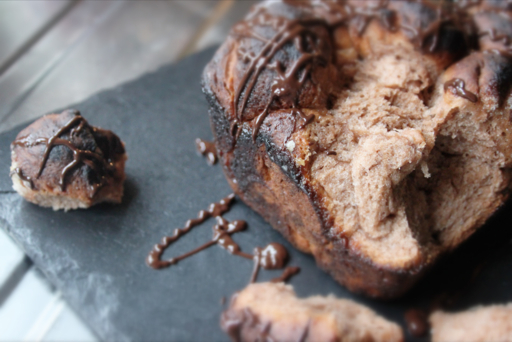 Thank you Choclette :) I'd definitely give monkey bread a go again, although trying not to think of the monkey brain anaology! Thank you Karen, I think I will in the future - it was really similar and didnt want to be accused of anything! The bread was tasty compensation in any event! This would be just delicious on a cold, frost Sunday afternoon infront of a roaring fire shared between friends over a good natter! Lovely, lovely entry to WSC! Thanks Kate - definitely one for sharing! Might try some sweet dips with it in the future! I have to agree with everyone else here in saying I would never look up what others write because whatever they wrote, they are not you! 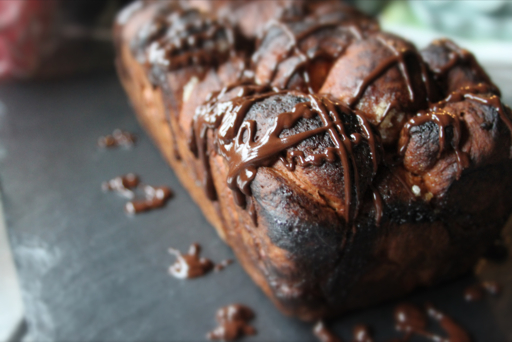 I think you should have faith in yourself more which has just been accentuated by this rich indulgent loaf of monkey's brains bread, great name! Thank you Laura. I think I do need a bit of faith sometimes, everyone's comments have been a lovely boost to do so. I think "monkey brain bread" is comedic GOLD! Oh my goodness! This is a great bread! I can taste it through the screen, I feel like. 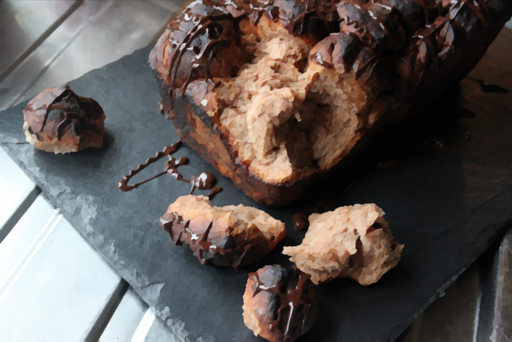 Wonderful bread idea - I do love tear apart breads and this chocolate one wounds divine. I have to say that the photos are also really gorgeous. they really make the bread utterly drool inducing. It's bread looks so good. Maybe I can buy it in Latvia? I try found bakery who can make it bread. Firstly i call to Felix bakery in Riga.